Edward Yang’s epic of life begins with a wedding and ends with a funeral. At the funeral, Yangyang, the son of the protagonist NJ, stands in front of his grandma’s coffin and reads his letter to her. “I feel I’m old too” he says. Watching this film is like living one’s life through in 3 hours. After the film experience, we feel the same as Yangyang feels. Only a daring filmmaker like Kubrick could end a film with a montage of a series of atomic bombing footage. One of the most popular songs during the WWII period “We Will Meet Again” is played in the background. This is Kubrick at his most satirical, if we will ever meet again, where and when? At the end of this Oscar Best Foreign Language winning film. The adult Toto flies to his hometown and finally gets the chance to see the reel of film Alfred left him. Toto watches this alone in the dark, it’s a montage of kissing scenes that were cut by Alfred since they were forbidden in public cinema. Toto is moved to tears, so are we. Ennio Morricone’s brilliant score is the ice on the cake. Probably the saddest ending of all time. 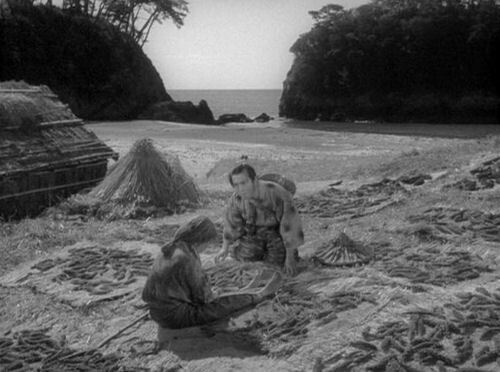 Zushio finally finds his mother who’s supposed to be dead, the blind old woman is sitting at the beach singing a bitter song. Zushio tells her that both his sister and father are dead, and he quits the post of governor to follow his father’s teachings. It’s a deeply tragic ending of the reunion of a broken family. In the finale of the tragic story of a notorious courtesan and showgirl, Lola Montes is kept in a cage and whoever pays just one dollar is able to kiss her hand. The camera keeps pulling back, leaving Lola and showing us the long queue of men who lust for her body. It’s the last elegant camera movement Max Ophuls left us, the curtain of his career is drawn at the end. Probably the most devastating endings in modern film history. Darren Aronofsky’s ending is far from a happy ending: it’s so disturbing that you don’t want to see it again. In the final scene, all the four characters are in the fetal position which emphasizes their helplessness. Like a fantasy trip after taking drugs, it blurs the boundary between reality and dream, making it very hard to watch even for the first time. How to end a film full of puzzles? With more puzzles. This is Kubrick’s answer with his enigmatic sci-fi classic. The ending, just like the whole film, is gorgeously shot and offers open interpretations. “Nobody is perfect!” Simply the greatest closing line in film history. The whole movie is worth it just for this line. Billy Wilder loved it so much, he had it written on his tombstone. After the big plot twist at the end, Norman Bates is kept in a jail. It is his dead mother’s voice narrating in the background, the camera slowly moves towards him, and the last shot superimposes the skeleton of his mother on his weirdly smiled face. This is definitely one of the scariest image in horror film history and one hell of a way to end a film about split personality. At the end of John Ford’s Western classic, Ethan departs the household he helped restore with a wistful gesture. Ford’s precise framing perfectly captures the duality of Ethan’s character: a hero that is kept out of the land he helps create. This is a simple shot, but its emotional resonance is profound. This is how Japanese master Yasujiro Ozu ended his last film. The widowed father finally married off her daughter, he is left all alone in the house. 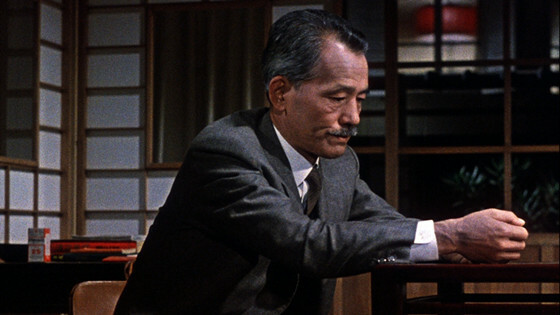 Ozu quietly observes the loneliness of the old man by a half-blocked shot, showing the inevitable future that awaits for all of us. This scene has the same sad feelings as the famous ending in his earlier classic Late Spring, but since this is the director’s swan song, and the film is a more or less advanced remake of that film, we finally decided to go with this one. We drop the famous ending of Fellini’s 8½ to leave a spot for this one. First, we already have two Fellini endings on this list. Second, this ending is clearly inspired by the 8½ ending, but it’s also great in its own right. The story of the film is nothing like 8½, but like the 8½ ending, all the characters, dead or alive, is back in this scene of a wedding party. What’s great about this ending is its surreal touch of the last scene, the people all stand on a mini peninsula that is floating away from the homeland. The last shot of Michael Haneke’s classic requires close attention. It’s a more-than-four-minute long take of kids stepping out of their school. At first glance, careless audience would assume nothing happens in this shot, but really? There is no close-up shot or even medium shot, the director didn’t tell us where to look, thus we have to look closer. There is someone talking to the sullen teenage boy. Instead of revealing who sends those tapes, it adds more possibilities to the cause of the whole story: something is hidden.